Do you ever feel like you’re born in the wrong generation, after watching Game Of Thrones? I feel you! The last season is almost here & I can’t keep calm! 2 years of wait is a torture for any GoT fan. But, after watching the first episode, I know it will be something worth waiting. The sets of GoT are simply surreal and spectacular and every GoT fan has wanted to visit these sets at least once to recreate their favourite scene. By now, we all know the places where GoT has been shot and they are simply phenomenal. Just because it’s in a foreign land doesn’t mean you can’t feel the vibe here in India. *wink* I give you Places In India That Every Game Of Thrones Fan Should Visit because they look breathtakingly similar! Bangalore Palace: Your Very Own HIGHGARDEN! Do you remember the scene where Margery tells Sansa about Highgarden? Explaining her how beautiful Highgarden is. Imagine lush greenery and beauty all around complete with exquisite flowers. Bangalore palace doesn’t disappoint. It’ beauty, majestic architecture & perfect weather of Bangalore makes it an ideal match with Olenna Tyrell’s Highgarden. Situated in the North, yet has a charm to it with greenery & snow clad mountains in the winters, just like Winterfell. If at all they shot some of the scenes here, nobody would know! Winterfell resembles Kashmir beautifully. 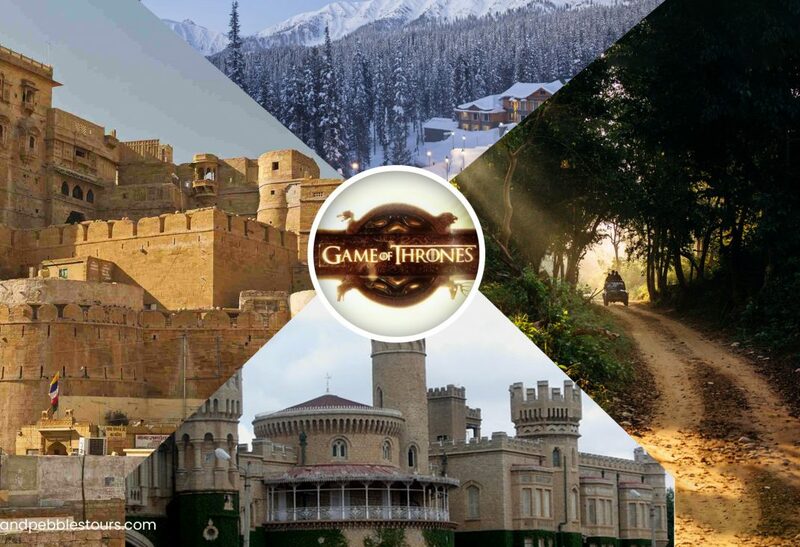 Who knew Winterfell could be in India? It even has the same kind of storyline. Guess it, if you can! 3. Jaisalmer Anyone? The Greatest City That Ever Was Or Will Be! It’s QARTH you Guys! With its grand palaces and overall ancient look, Jaisalmer aptly resembles Qarth – the greatest city that ever was or will be. Moreover, the sand dunes surrounding the city are a mirror image of the ‘Red Waste’ that surrounds Qarth. Take a tour of this city to relive Khaleesi’s journey among the impressive buildings of Qarth. The place where Daenerys became Khaleesi. The place where the Dothrak and Targaryens rode through and consummated their marriage, and the wildlife only adds to the feels of Jim Corbett. Feel like a Khaleesi amidst the wild! The place where Khal Drogo & Daenerys got hooked! There’s no doubt that the place was a treat to the eyes. Havelock Island – part of the Andaman & Nicobar Islands is the perfect place to shoot the seaside town of Pentos to recreate the scene. The Sept Of Baelor was a place of majestic beauty & importance, until of course our evil Queen had to blow it. Fatehpur Sikri in Agra is a majestic monument that stands tall just like the Sept and you get all the chills of the last scene if you imagine yourself inside the building. 7. Udaipur Can Fool You To Imagine It’s DORNE! Would you ever notice if a scene in Dorne would have been shot in Udaipur? I couldn’t! In Udaipur, everything is similar to Dorne. Surrounded by lakes, palaces & beautiful gardens, Udaipur is your Ideal location to relive Game Of Thrones! I seriously can’t wait for Season 8. Adding new locations, storyline & spine chilling closure, Game Of Thrones has become a phenomenon! Go explore all these places & give yourself a relaxing vacation filled with adventure & fantasy!